Deen or din, meaning religion in Arabic, is used in the Quran to refer to both to the path along which righteous Muslims travel to comply with divine law (Sharia) and divine judgment or recompense, which all humanity must inevitably face -- without intercessors -- before God. The word probably derives from the Persian Zoroastrian concept Daena -- insight, the Eternal Law. In Hebrew din means law or judgment. In Islam, the word implies an all-encompassing way of life lived in accordance with God’s divine purpose as expressed in the Quran and hadith. The author recalls a moving childhood experience, hiking on Bear Mountain near New York, his first time in the wilds. He watched as his father cleared a spot in the forest to pray, explaining to him, “The Earth is a mosque.” He considered other religions as a youth but reaffirmed his father’s decision to follow the deen, “a living tradition that is spiritually nourishing and intellectually coherent”. For Abdul-Matin, there is no conflict between religion and science -- humans are the best of God’s creation, and, as stewards blessed with intelligence and reason, have a responsibility towards the rest of God’s creation. He points to the verse, “Corruption has appeared on the land and in the sea because of what the hands of humans have wrought,” as proof that God warned people about their possible harmful impact on the planet, “a taste of the consequences of their misdeeds that perhaps they will turn to the path of right guidance”. (Quran 30:41) In this sura, The Romans, God warns humanity not to disturb the balance of Nature. Ayat are everywhere: “He has made subject to you the sun and the moon, both diligently following their courses; and the Night and the Day.” (Quran 14:32-3) While a hardnosed scientist might dismiss this as poetic license, the author interprets these ayat as indeed serving us every day, allowing us to travel, giving us heat and light, time to sleep and time to work. “To everything there is a season” is Ecclesiastes’ expression of this truth. Stop using “energy from hell” – coal and oil, the latter associated with today’s wars, both devastating in their ecological footprint, and betraying khalifa and amana. Use “energy from heaven” -- solar power, wind energy. He could have mentioned woodchips, which can be burned efficiently and are bi-products, “waste”, from manufacture. (For a khalifah, there is no such thing as waste). For someone with a more secular worldview, all this is still very much relevant. For, in the past two centuries, science has come to be a lifeless pursuit of technology. There is no poetry in this, only money and novelty. It is the very poetry of the Quran, this quaintness of the belief that Nature was made subject to humans, that is what is necessary to lead us to any change towards reincorporating morality into our lives, whether religious or secular, given our disconnect with Nature. The author gives a brief overview of the development of ecological awareness, starting with the conservation president Theodore Roosevelt, who recognised his role as khalifah, and set up the system of national parks at the beginning of the twentieth century, making humans’ relationship to Nature part of America’s political dialogue. The next step forward was not until the 1950s, when the American Dream, which captured the world’s imagination, was accompanied by a sudden sharp decline in bird populations and equally sharp rise in cancer rates. The realisation that growth was not without “external economies” started a popular movement to regulate toxic chemicals. In the 1960s, the civil rights movement empowered marginalised communities to build on this foundation. Now, the generalised problem of global warming demands everyone transform their lifestyles, as we are all “marginalised” communities now. 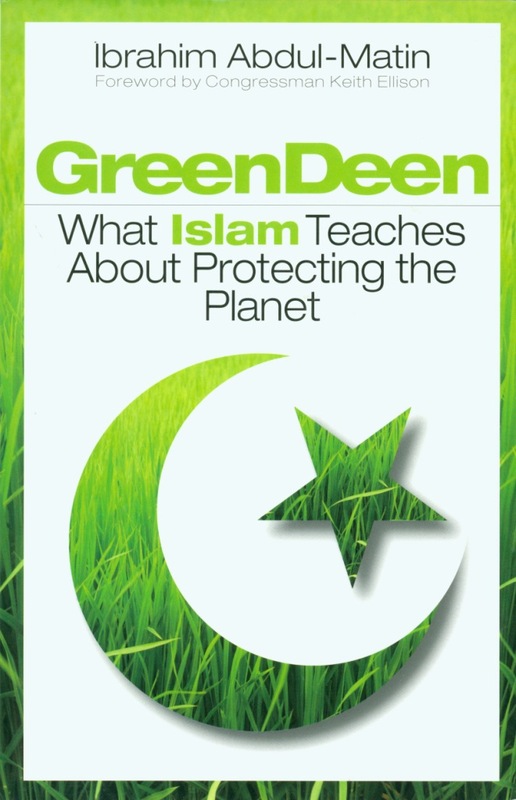 These developments reflect the six principles of a Green Deen. “The environmental movement can be seen as an attempt to restore balance and justice to the Earth after the environmental destruction caused by overconsumption,” itself the result of an obsession with creating, producing, finding self-worth in consuming. The author’s analysis breaks down at this point. He is limited in what he can say, given American biases. Damning socialism along with capitalism is a typical American cop-out, necessary to get a broad reading. But socialism was the secular attempt to reintroduce morality into the economy, to fulfill the six principles that underlie Islam -- minus God. Socialism never had the chance to deal with the dilemma of overconsumption; the system, as identified with the Soviet Union, never had the same luxury of luxury, always fighting for survival in the face of the more powerful capitalist world. Cuba is the only remnant of that socialist experiment and has a much better environmental record than the West. Abdul-Matin makes no mention of its secular attempts to find mizan though they are encouraging and follow his by now standard recommendations: urban market gardens, solar energy, bicycling and walking, but above all, making do with less. Islam has a lot in common with socialism, a comparison Abdul-Matin implicitly makes in the principle of adl -- social justice. Umm Kholtum boldly referred to the Prophet Mohamed as “the imam of socialism”. The Prophet’s wife Aisha related that, “He himself removed the lice from his clothing, milked his goats, and did all his work himself.” No need to exploit others to fulfill your needs. The author can’t hide his own socialist leanings entirely -- green jobs (minimising inputs, producing durable, environmentally friendly outputs) must be linked to adl -- justice and equality -- or they will just perpetuate the current inequalities. Water should not be sold for profit. The famous hadith about Uthman buying the Ruma Well and making its wate free, responding to the Prophet’s call, is recounted. 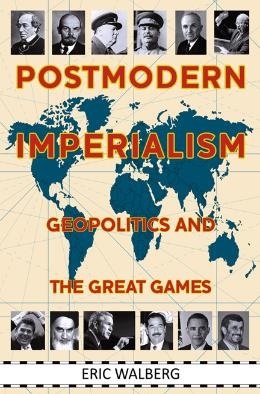 The author also skirts the issue of neocolonialism, considering the colonies liberated in the twentieth century as “postcolonial”, though suffering from the “economic control of large corporations”. More tip-toeing through the US ideological minefield. America as the imperial ogre, the big waster, wreaking havoc around the world, does not make an appearance. Nor does the world’s worst polluter – the US military. Watch “Avatar”, set far into the future, to see that there is nothing “post” about so-called postcolonialism. Traditional societies were not overconsumers. Their no-brainer philosophy was: eat in order to live, not live in order to eat, as we do today. The Western disdain for the “primitive” inherently dismisses their natural wisdom. Abdul-Matin’s defence of Islam implicitly asserts this wisdom, which is not unique to Islam. However, due to Islam’s care to conserve the original message of 15 centuries ago, it has not been erased, as it has from the other monotheisms, so successfully incorporated into the modern world. 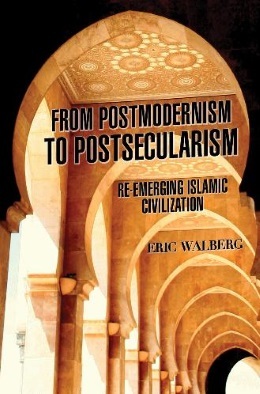 He provides a fascinating example of how Islam can be practised in the modern world in new ways. A Muslim community in Chiapas, Mexico lives off the grid, with organic farms, few cars, solar panels made of scrap metal, sun-drying their fruit. They have rediscovered how relevant “backward” ways of living are to today’s needs, giving “civilisation” a new meaning. The root of the problem is not just overconsumption, but the colonisation of the world, which destroyed -- and destroys -- cultures based on religion with its moral truths and respect for nature, that is the underlying problem. Instead of “What is a just price?” the question is “What can I get away with?” This negative freedom (freedom to do anything subject to constraints) has taken the place of positive freedom (freedom as defined by an understanding and willingness to follow a path in accord with divine law), as embodied in religion. The various stages in environmental awareness in the West have tried to overcome this by regulations, the result of popular resistance -- both community- and religious-based movements. The next step forward, according to the author, is an environmental justice movement, which he says is slowly coming about “as a response to the disconnection between people and planet” and which must incorporate the principles he outlines. The author enthuses about the “smart grid” and other self-regulating systems, which use computer monitoring and feedback to adjust the various components in environmental systems (temperature, air quality, energy use) given the situation and the needs. That is all well and good. But aren’t we still just consumers, even if more careful about our footprints? The author’s intrinsic bias is still lifestyle-related: consume responsibly, but consume. Don’t rock the boat. Nowhere does the author address the economic mechanism that lies behind colonialism and its tendency to overconsume – the maximizing of the surplus we produce, profits -- whether or not we need this material excess. As long as we put profit on a pedestal, we are slaves to the destructive logic undermining the ecological balance. “Let there be no change in the work wrought by Allah: that is the true Religion. But most among mankind understand not” (Quran 30:30) That ayat calls for us to minimise the surplus we extract from Nature in the form of profits. “Leave well enough alone.” As scientists of the economy and Nature, maximise something worthwhile, like efficiency of production, green jobs, renewable energy use, clean air. In his care not to tread on capitalist-crazed American toes, the author misses a startling and highly relevant insight that Islam has for us: to seek balance, minimise consumption. That is the hidden truth here, for both Muslims and non-Muslims, religious and secular alike. We are witnessing today environmental heedlessness in westernised Muslim societies like Egypt, Saudi Arabia and the Gulf states. In Cairo the choking exhaust fumes, the casually disposed-of garbage on streets, the unthinking use and discarding of “free” plastic bags, the misuse of water – this behaviour surprises foreigners, already more “environmentally aware”. Sadly, Muslims are today “catching up” but negatively. By abandoning socialism, embracing Western neoliberalism, Egypt lost what little (socialist, anti-imperialist) morality there was that held society together, morality which found deep and heart-felt response in the common people. True, Egypt’s socialist experiment was flawed. 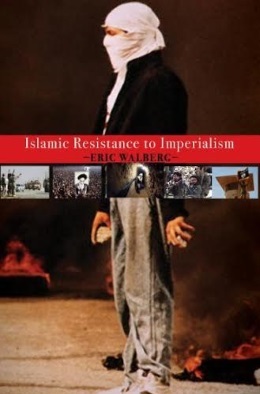 It suffered from paranoia -- how to maintain power in the face of both Western Cold War intrigues and the difficulty of incorporating the greater truths of Islam in a largely secular movement – which eventually defeated it. There was no easy path to tread. Socialism’s professed secular nature was a stumbling block that eventually brought it down. The new identification with Western materialist ideals has led to an anomy in the Arab world, which seems to find solace only in Islam. Abdul-Matin’s enthusiasm for injecting Islam into a terminally-ill American society as the antidote there is heartening, suggesting that the answer to the world’s ills is Islam itself, not the destruction of Islam, as the current US wars seem intent on. Perhaps the new awareness sparked by the environmental movement in the West will indeed find inspiration in Islam, and East and West will work together to revive the patient. A similar coming-together of activists in the West and the Muslim world is now trying to cure the other poison infecting the Middle East -- Israel’s refusal to come to its senses and make peace with its neighbours. Westerners concerned with adl are finding eager allies in Muslims, who need no convincing about the evils of colonialism when it comes to Greater Israel. For both East and West, realising that the mentality behind colonialism also lies behind the ecological crisis is the real next step forward. An inspiring vision to leave you with. The author imagines another electricity blackout as happened most recently in 2003, and imagines houses of worship off the grid, “shining beacons of light in a sea of darkness”.